As part of its quarterly Dinner & Docs @ The Davis series, the Davis Theater (4614 N. Lincoln Ave. in Chicago) is featuring the Chicago theatrical premiere of the recently Oscar-nominated Icarus, directed by Bryan Fogel, on Thursday, February 22. Preceded by a family-style dinner at Carbon Arc, attached to the theater, the film (which debuted on Netflix in August 2017, after its premiere at Sundance in January 2017) is a thrilling look inside the world of sports doping and the ban of Russia from the 2018 Winter Olympic games in PyeongChang. The film will be followed by a Q&A with the filmmakers and other special guests. The dinner begins at 6pm, with the screening to follow at 7:15pm, for a price of $40. For those wishing to attend the screening only, there is a $5 registration fee that will be reimbursed in the form of a concession voucher at the theater on the night of the screening. Tickets for both options are available here. In addition, those attending will also be the first to hear the lineup for Year 3 of the 2018 DOC10 Film Festival, taking place April 5-8, also at the Davis Theater. DOC10 promises 10 premieres of the best documentaries of the coming season, including post-screening discussions, performances and other special events. Both Dinner & Docs @ The Davis and DOC10 are presented by the Chicago Media Project. For those who haven’t seen it yet on Netflix, Icarus absolutely belongs among the nominated documentaries. It tells a story that begins with director Fogel (whose biggest credit before this was the play and movie Jewtopia) establishing himself as the guinea pig for an investigation into how easy it would be to use performance enhancing drugs to win or excel at a sport (in his case, a grueling long-distance biking event). For months, he takes steroids to boost his workouts and training while working with a noted Russian scientist on ways of dodging the institutions established to catch dopers. What the film turns into is a bombshell that puts the scientist in mortal danger. The filmmaker guides him through various investigative bodies—both in the U.S. and globally—to determine the true extent of Russia’s state-sanctioned bad behavior as far as sports doping, particularly where it concerns the Olympics—a story that continues to this day. Winning a special jury prize in the doc category at Sundance last year, Icarus is a tense, complex, international thriller that doesn’t have to manufacture any false sense of drama in its telling of the biggest scandal in the history of sports. Watching it will certainly change the way you view the Olympics, and it will undoubtedly make you all the more paranoid about the reach the Russian government has into sports, politics, and whatever the hell else it wants. It’s also a terrifying look at what happens when someone makes the choice to head to head against a seemingly immovable establishment and actually makes it flinch. I don’t care how you see it, just see it. 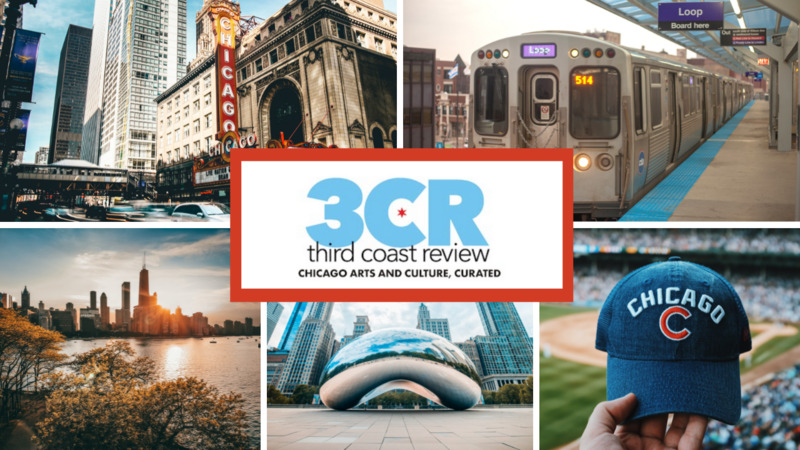 What’s Cooking at Third Coast? Giardiniera for Your Beef!